Vivel Mixed Fruit+Cream And Green Tea Soaps both are coming a thick paper box. 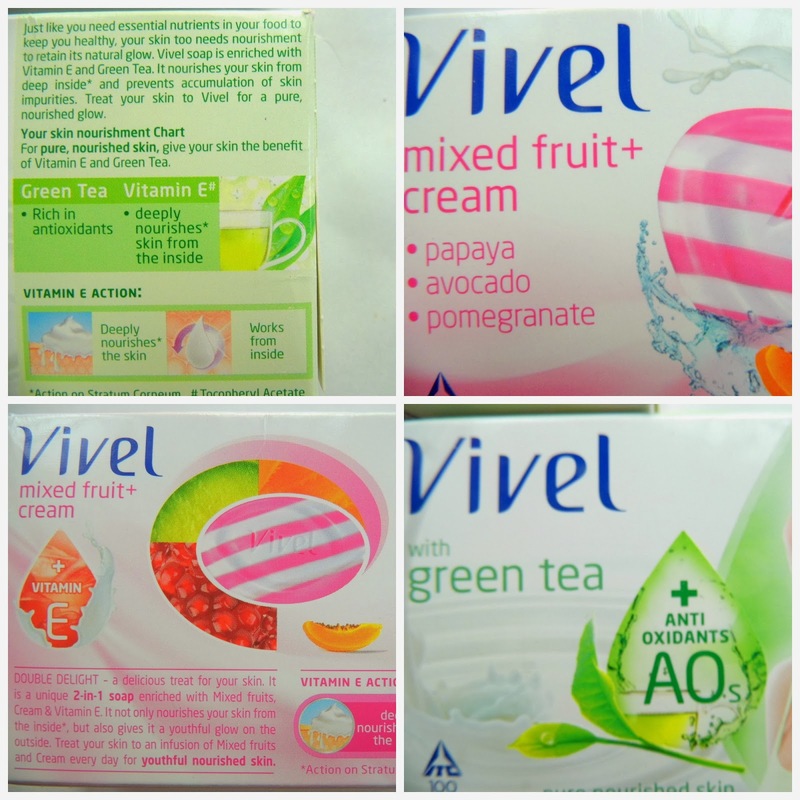 Vivel Mixed Fruit+Cream And Green Tea Soaps both are smells very pleasant. I personally loved the Mixed fruit+cream fragrance very much than green tea soap, it is very girly and looks like a soap lolly pop. 3. Not tested on animals. Recently I got 2 soaps from Vivel - Vivel Green Tea and Vivel Mixed Fruit + Cream. I tried them both and found them very gentle and refreshing and these two soaps come under Grade 2 of TFM (Green Tea variant has 70% and Mixed cream has 73%) which is quite good for their price of Rs. 22, I've seen some soaps which are priced highly but having low TFM, the higher TFM ensures that the soap doesn't harm your skin. With both the soaps having Vitamin E they don't end up drying your skin rather give extra moisturizing which is really important in this winter season, personally I loved the Mixed fruit variant as it looks more girly and feels buttery smooth when used but that doesn't mean that Green tea variant is not good, it is also good in what it is supposed to do, gives you refreshing feeling after the bath. My suggestion is that I found both these 2 soaps great and recommend it to everyone as both of them has good qualities that makes a great soap and pocket friendly too!!! 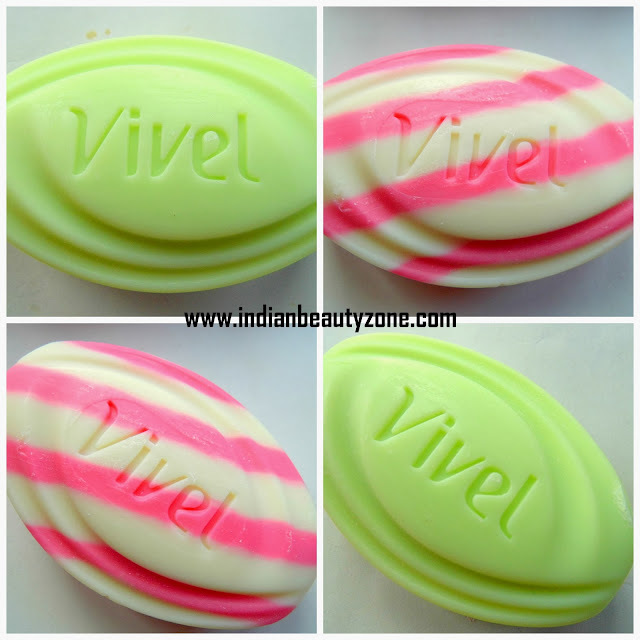 Vivel Mixed Fruit+Cream Soap is very good for dry skin and leaves skin soft. Vivel Green Tea Soap Gives refresh feeling, best for summers. Lathers and cleanse the skin well. Green tea soap may need moisture follow up after bath. Vivel Mixed Fruit+Cream And Green Tea Soaps are best for their price and I will suggest the mixed fruit+cream soap for winter and the green tea soap for summer. The pink one looks great! It looks delicious!! very nicely reviewed!! Worth the price and my take is the green tea soap. The mixed fruit one sure does look like a lolly! Loved it. Although I use only gel wash, green tea soap looks worth trying.. The Pink one looks so cute! Ever since I saw the advertisement for these soaps the mixed fruit one especially I v been waitin and wanting to try it...I am happy with the review it gave me a green signal to try out this product...Thnx a ton. These are looking so yummy!